See gallery of old Jerusalem on our portal "Orthodox pilgrim in the Holy Land"
In the second half of the XIX century, Jerusalem began to develop and its areas gradually began to go beyond the fortress walls of the old city. One of these areas, formed during the period 1860-1930-ies was the so-called "Russian Compound" in Jerusalem, which includes a whole ensemble of buildings. 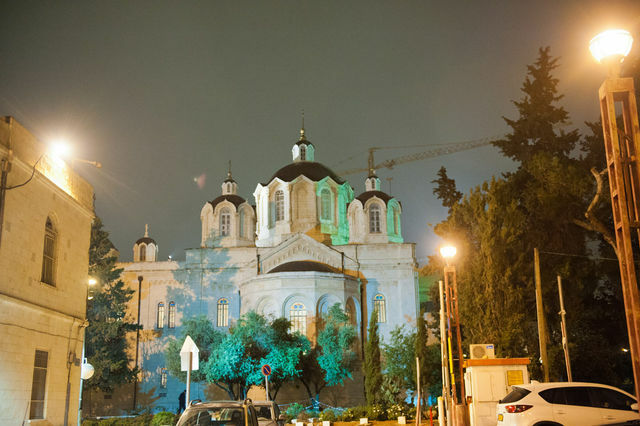 Among the most famous of them are: the Trinity Cathedral, the building of the Russian Ecclesiastical Mission in Jerusalem, the Sergievsky, Elizavetinsky, Mariinsky and Nikolayevsky Compound, built by the Palestinian Committee and the Imperial Orthodox Palestine Society, the building of the Russian Hospital and the General Russian Consulate in Jerusalem. During the excursion you have the opportunity to trace the historical fate of these buildings and also make a general excursion tour through the narrow streets of the old city of Jerusalem. The tour also includes a visit to the Western Wall.